Today’s post is a guest post from the very lovely Ricky and Naomi who run the fantastic Skint Dad blog! Day time TV programmes like Cash in the Attic may feel like they’re for people who have decades worth of heirlooms in their homes, but it’s not just old antiques that are sought after. We live in a new world and retro is cool. The toys you played with as a kid could well be worth a fair bit of money today. 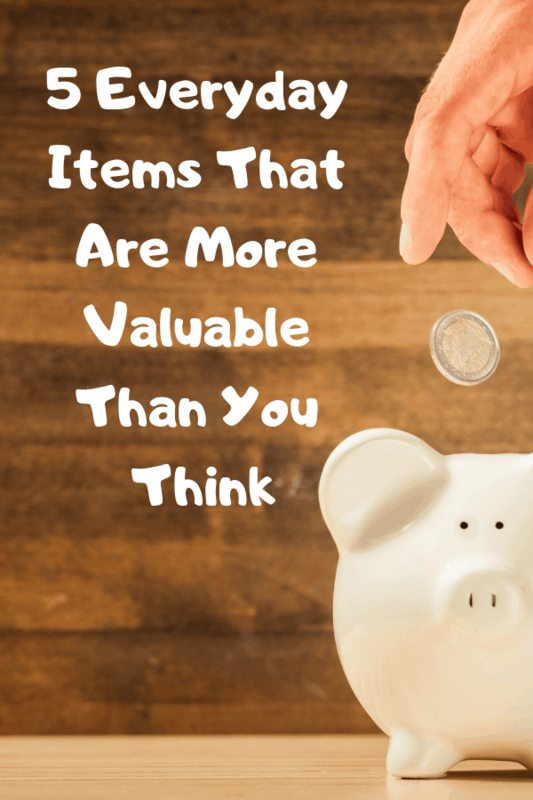 You don’t know what you have until you look, and there are all sorts of treasures around your home that you may not realise could be sold for profit. And, if anything else, it’s a great excuse to have a clear out, Marie Kondo style! You may have had old toys you threw away, but no one ever throws away money. Some coins may no longer be legal tender, but that doesn’t mean they’re not worth some money. There are even a lot of rare UK coins that are still in circulation. Check your change for a Kew Garden 50p (worth around £100), a Sir Isaac Newton 50p (worth around £60) and an undated 20p (worth up to £100). 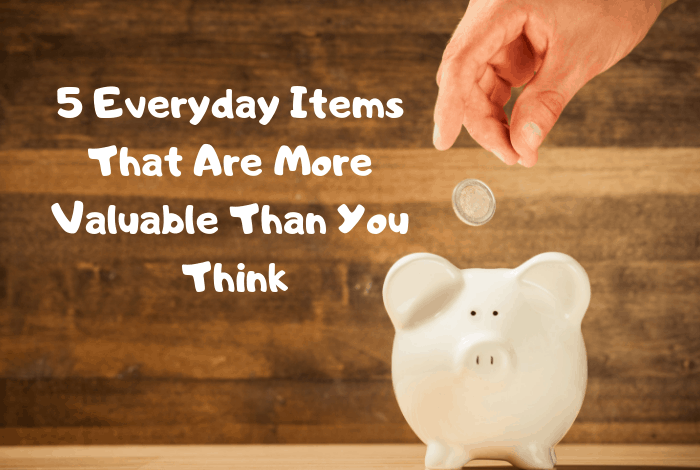 Look at the bottom of your sock drawer, through old biscuit tins, down the back of the sofa, and in every handful of change after you’ve bought something. Fashion certainly comes and goes. We may look back and think that some trends were whacky, but it won’t be long until they make it back into the shops again. Some 30% of things in our wardrobes have not been worn for over a year, so if you’re not one for getting rid of stuff, you may well find several vintage items that are all the rage today. Vintage clothing (this may make you feel old) is anything before 1990, so you may well have an excuse to clear out, Marie Kondo style, and make a few quid in the process. List your items on Vinted, the Shpock app, or even Depop. Interior design has fashion trends just as much as clothing. There was a phase where everyone wanted shabby-chic and wanted upcycled furniture (or they did it themselves). But times change, and new trends happen all the time. If you’ve got some older furniture, then it could be worth some cash. I’m not talking about an old antique dresser, but if you’ve got any furniture from the 1980s and 1990s, then it’s coming back into fashion. With the new age of reading books from a tablet, books just seem to sit and gather dust on the shelf. Instead of letting them waste away or donating them at the charity shop, you can sell them on sites like Ziffit. If you use the app, you can scan the book’s barcode and get a price far quicker. Be sure to do a bit of research before you part with all your books though as you may have some first print editions which would be worth far more. LEGO is a fantastic toy that can entertain small and big kids alike. It doesn’t matter if you have an instruction booklet as you can let your imagination run wild and make whatever you want. Once you’re done playing, it all gets chucked into a box until the next time you want to play. It may be worth taking a closer look at the LEGO in your collection as some pieces are worth a fair bit now. Mini-figures from sets like Toy Story or full Harry Potter sets can sell for far more than was initially paid. Plus, individual pieces can be really sought after to help someone else finish a set. Maybe you’ve got a spare steering wheel or a rare coloured LEGO brick that you’d be willing to sell on? If you have a spring clear out, instead of taking your old stuff to the dump, or giving it away on Freecycle, be sure to double check what you’ve got because it could be worth money.